More than 2500 patients completed questionnaires related to intensity and frequency of pain, functional ability, depression, and quality of life. Patients had an average of 9 acupuncture sessions. After 6 months, 45.5% of patients had clinically significant improvements in their functional ability. 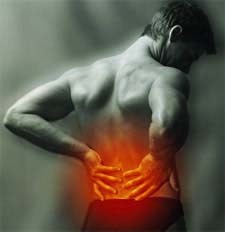 The average number of days with pain decreased by half (from 21 to 10 days per month). Employed patients reported a 30% decrease in days of work lost. 8.1% of patients experienced side effects related to acupuncture — most were minor. Depression improved as pain became less. These results support an earlier study of self-acupuncture summarized here. This entry was posted on Wednesday, February 28th, 2007 at 9:19 PM	and is filed under Acupuncture/ pressure, Pain. You can follow any responses to this entry through the RSS 2.0 feed. You can leave a response, or trackback from your own site.